I want to show Right to Left MessageDialog. but it seems that such option does not exist. I saw a question like this (How to center Popup in Metro style app in c#), but i think that RTL is a different issue. 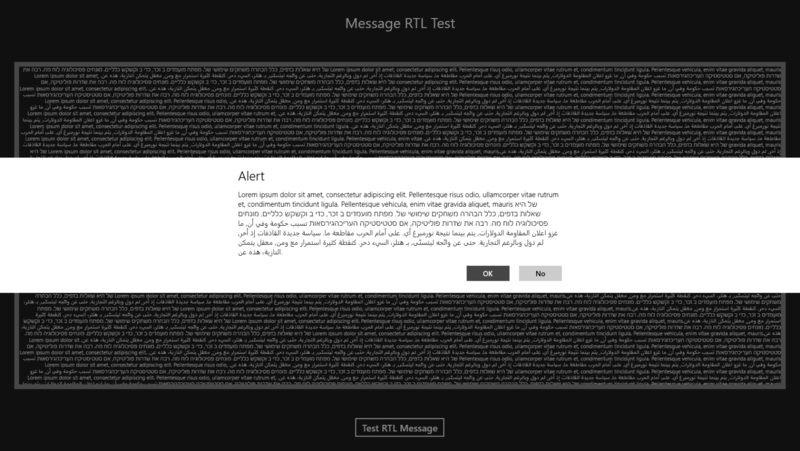 is the only solution is to write my own "RTL Popup" ? if so, how ? This will vertically center your content, horizontally center it and prevent the user from interacting with any background content until it is Collapsed again. I don't know any C#, however maybe you could override the messageDialog.OnPaint method. 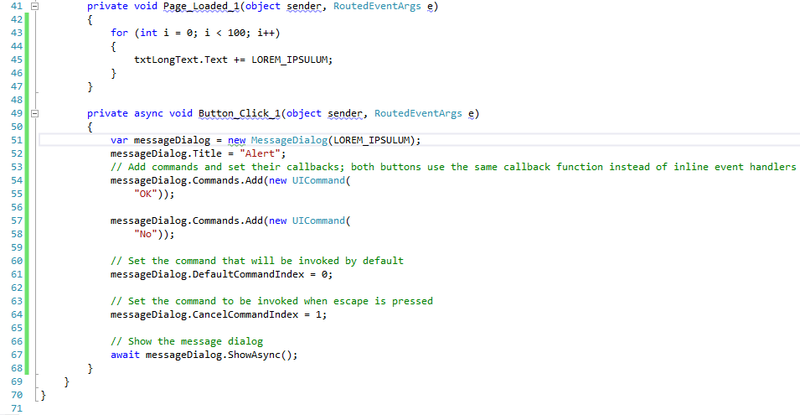 I did this in VB to get the different colored text on a button when enabled was set to false. you can use below Message Dialog in ur method. Not the answer you're looking for? Browse other questions tagged windows-8 microsoft-metro windows-runtime right-to-left messagedialog or ask your own question. How can a Metro app in Windows 8 communicate with a backend desktop app on the same machine? How to refresh the UI of a Metro Style app? PointerPressed: left or right button? How to launch a Windows8 Metro App by C# form application?